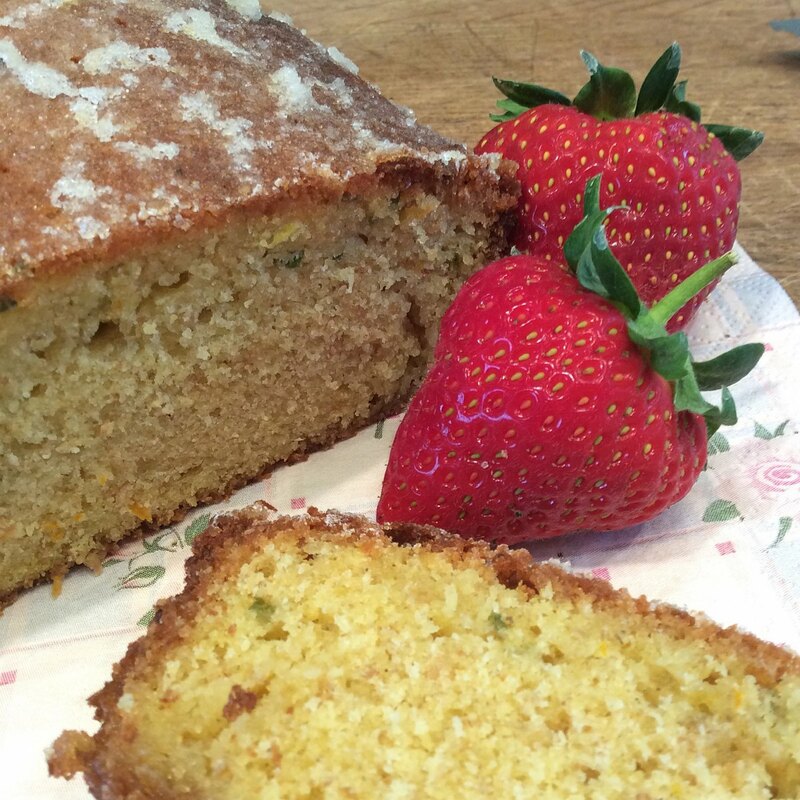 This gorgeous cake is a twist on a traditional lemon drizzle cake. It behaves really well, providing you don’t overdo the Pimms- otherwise it will go soggy. It’s the perfect summer picnic cake. Cream together the butter and sugar until light and fluffy. Add the beaten egg, a little at a time, folding through thoroughly between each addition. Add 50ml of the Pimms. Sift the flour over the mixture and gently combine to a smooth consistency, then stir in the orange and lemon zest and a handful of finely chopped mint. Pour the mixture into the prepared loaf pan and pop in the preheated oven to bake for about 40 to 50 minutes- check after 40 minutes. Meanwhile combine the orange and lemon juice and stir it into the remaining Pimms, along with the sugar cubes. Break these down slightly but leave some small lumps for decoration. Check the cake is cooked by inserting a skewer into the middle – if it comes out clean, then it’s ready. Allow to cool for a few minutes then run a knife around the edge of the pan to loosen it, then turn it out onto a wire rack with a plate underneath it to catch any drizzle drips. Using a skewer, prick all over the top of the cake, then slowly and very carefully drizzle the Pimm’s and juice mixture over the cake. You will need to allow the liquid to slowly absorb, so have patience and add a little at a time, then leave the cake to cool completely. Once cool and you are ready to serve, decorate the cake with strawberry slices and sprigs of mint. Otherwise leave the fruit off and either store in an airtight container for up to 3 days or freeze. Whoops, thanks for pointing that out Nicki, I really do need a proof reader! You can substitute granulated sugar for the cubes but I like the nibbed effect the broken cubes add to the appearance of the cake. Thanks Alison. What quantity do use still whether cube or granulated?